Take charge of your hair grooming with this professional quality clipper kit. Made in the USA, this set includes a hair clipper base unit with a Powerdrive motor and comfortable, soft-touch grip. It has precision ground, high carbon, steel blades for extra sharpness, and they are taper adjustable for precision trimming. 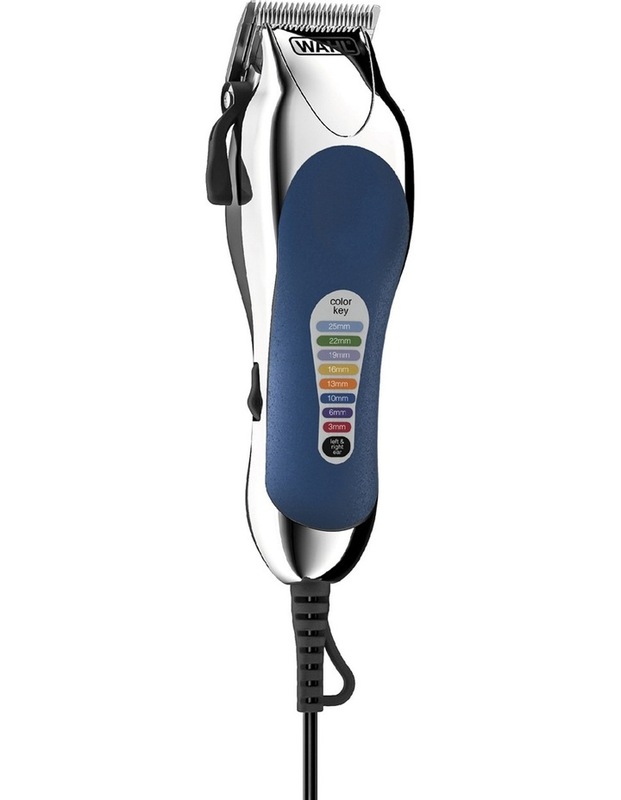 The Wahl Colour Pro Clipper Kit WA79300 comes in a storage case and includes eight colour coded cutting guides. It also includes eyebrow, ear trim and blending guides, as well as two hair clips, a cutting cape, scissors and a styling comb. This kit also comes with an instructional DVD and a one year warranty.